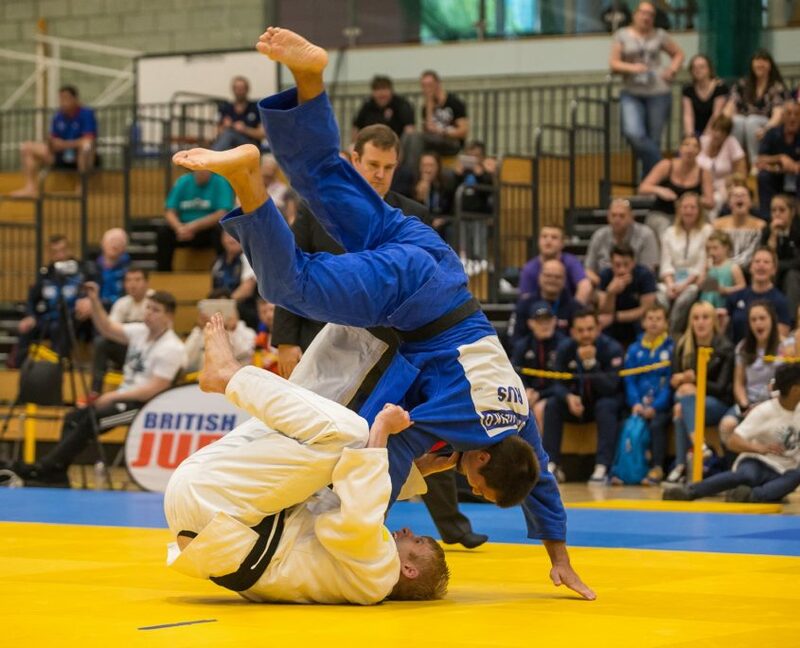 There are a busy three months ahead for GB Judo with five major championships in total ranging from Junior to U23 to Senior. This week’s 2018 Junior European Judo Championships on Sofia, Bulgaria gets things underway from 13 – 16 September. A nine-strong GB Judo team will be looking to take the medal winning run by British judoka into a sixth year. At the 2017 Junior Europeans in Maribor, Slovenia, GB Judo came away with three medals in total. Two in the individual competition for Acelya Toprak (-57kg silver) and Jamal Petgrave (-90kg bronze) as well as a bronze in the Men’s Team competition. Toprak returns for her third and final Junior Europeans and goes in as top seed. The Metro judoka made her Senior Europeans debut in Tel Aviv back in April and will be looking to use that experience well in Sofia. She faces Austria’s Olivia Taroncher in her first contest of the day on Friday 14 September. Joining her at -57kg is Highland Budokan’s Josie Steele, on her Junior Europeans debut. She is one of two 2017 EYOF medallists in the GB team and has had a good first year at Junior level. Steele won silver at the Thuringia Cup and bronze at the Paks Junior European Cup to secure her place in Sofia. Her first contest of the day is against Flaka Loxha (KOS). On day one, Thursday 13 September, three of the GB team will also be making their Junior Europeans debuts in Sofia. Jaime-Leigh Whitaker (-44kg), 2017 EYOF gold medallist Amy Platten (-48kg) and Yasmin Javadian (-52kg) have all enjoyed success in their first year as Junior judoka. Javadian has brought her Cadet form to Juniors with three European Cup medals including silvers in Coimbra and La Coruna. 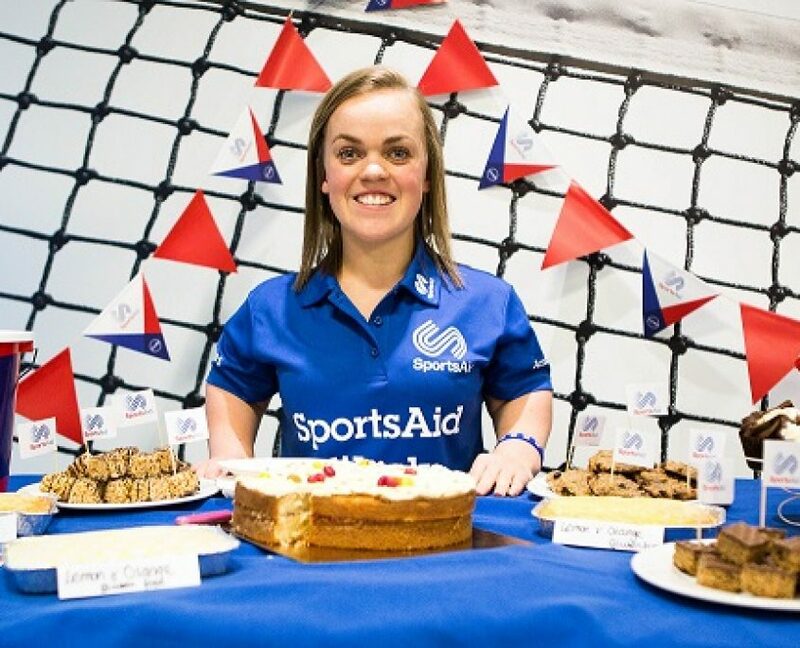 Whitaker has also picked up three Junior European Cup medals, all silvers. Her most recent medal coming at the Cluj Napoca Junior European Cup in August. Platten won bronze at the Kaunas Junior European Cup and finish on top of the medal rostrum at the Danish Open in both the Junior and Senior competitions. Whitaker, Platten and Javadian will face Fanni Vaska (HUN), Tamar Valca (ISR) and Hanna Kavalenka (BLR) respectively in their first contests of the day. Olivia Piechota (-52kg) is making her second appearance at a Junior Europeans following a round of 16 exit last year. Piechota had three fifth place finishes in Junior European Cups before winning gold in Cluj Napoca last month. She will take on Portugal’s Ana Agulhas for a place in the quarter-finals. Saturday 15 September is the final day of individual competition with three British judoka hoping to end GB’s campaign on a high. Shelley Ludford moved up to -78kg at the end of 2017, winning the Junior and Senior British Championships. 2018 has seen the Osaka judoka add a number of international medals to her collection including Kaunas Junior European Cup gold and Thuringia Cup silver. Italy’s Arianna Conti is Ludford’s first contest of the day, with a place in the quarter-finals at stake. -90kg judoka Harry Lovell-Hewitt has had a very consistent year with three medals and a fifth place out of five Junior European Cup appearances. 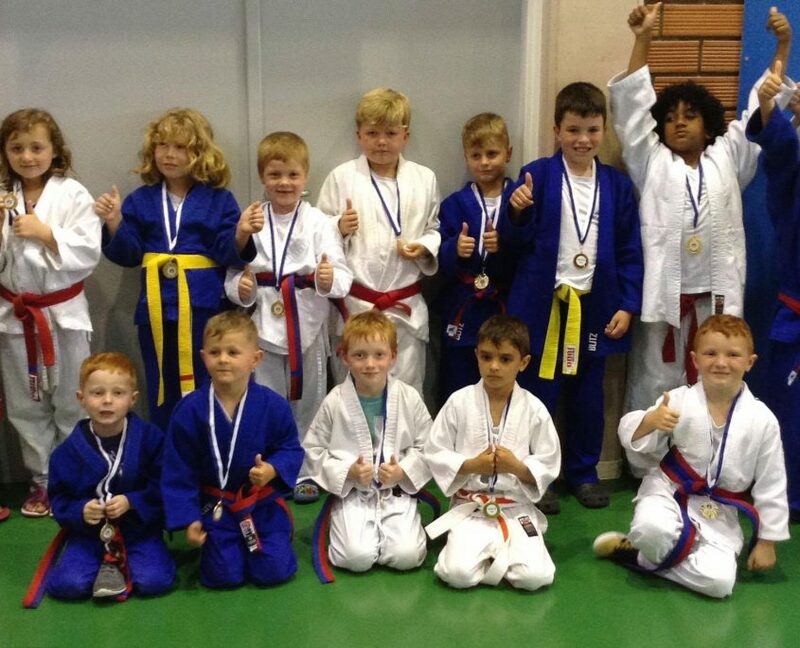 A gold at the Lignano Junior European Cup was the standout performance for the Stroud fighter. He goes in as one of the top seeds and will have Germany’s Falk Petersilka first up in the second round. Enfield heavyweight Wesley Greenidge (+100kg) was part of the GB Men’s team that took bronze in Maribor last year and he will be aiming to add individual silverware to that collection. Greenidge won bronze at the St Petersburg Junior European Cup in April, his sixth Junior European Cup medal. He has a bye into the second round where he’ll face either Dimitrious Tsoumitas (GRE) or Furkan Guner (TUR). Competition starts at 0800 UK Time on Thursday and Friday and at 0900 on Saturday. Final block starts at 1330 UK time on each day. 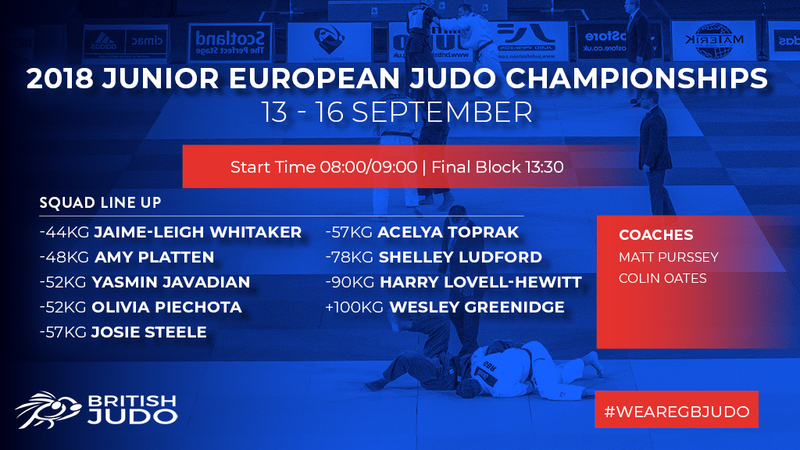 There will be a live stream via EJU.net and you can follow @BritishJudo on Twitter for live updates throughout the day. Go to ippon.org for the full draw.